Finding your way to Magnetic Island is a breeze. Fly, drive or enjoy a rail experience into the tropics. Then enjoy a leisurely 25-minute cruise from Townsville to the island. Open your eyes each morning to the pristine ambience of Magnetic Island. 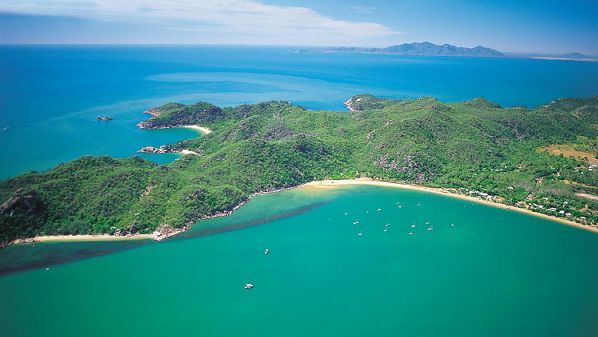 Escape to Magnetic Island for a day, a week or get lost forever. The islands landscape is World heritage listed and distinctive. Discover rock granite headlands joining 23 bays and beaches. Rest and find shade under a Hoop pine tree. The coastline of Magnetic Island is naturally dramatic. While on the ferry view Mount Cook which hovers over eucalypt woods and forests. 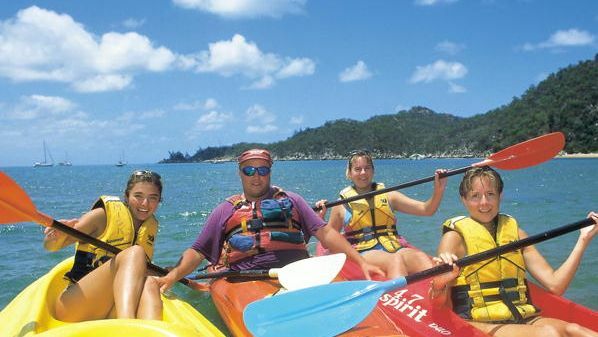 Magnetic Island is a beautiful region with great weather and a large amount of indoor and outdoor activities. Activities range from sailing, fishing and Jetski tours. There is a choice of sailing and cruising trips with each one different, but all offering a relaxing day out on the water with swimming, snorkelling over coral reefs or just lazing in the sun. Fishing charters and tours of the island by 4WD, Harley Davisons or Mokes are also on offer. There's plenty to do such as horseback riding, outdoor tennis and lawn bowls. If you're a golfing enthusiast a round at the Country Club in Picnic Bay is a real treat. There are shops in all four main residential bays. Many shops have locally produced items and souvenirs for sale. Not only has Magnetic Island a good range of shops but also a wide variety of excellent restaurants and many take-away places with special tropical menus. Whether dining in a softly lit restaurant or eating take-away on the beach while watching the lights of Townsville there is nothing quite like a balmy tropical island night. 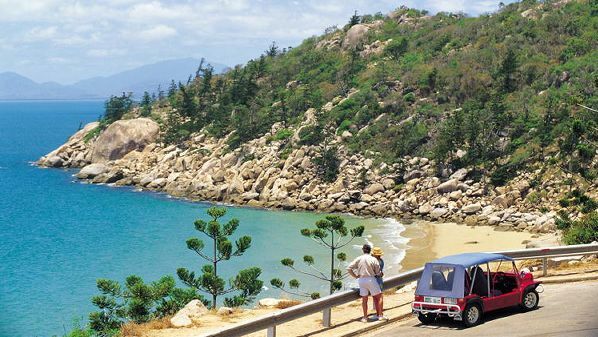 Magnetic Island the only Barrier Reef island offer a wide range of accommodation and holiday houses. resorts, apartments and backpacker establishments. There's always a perfect choice of accommodation to fit any budget.